If you are waiting for the right time, it’s NOW. Most people are nervous to try something new, but don’t let that stop you. There’s nothing you need to do or be to try Bikram Yoga – except show up. We’ll help you feel comfortable, we have new students in almost every class. We look forward to meeting you, come join our community today. Below, you’ll find some tips that will help make your experience more enjoyable. 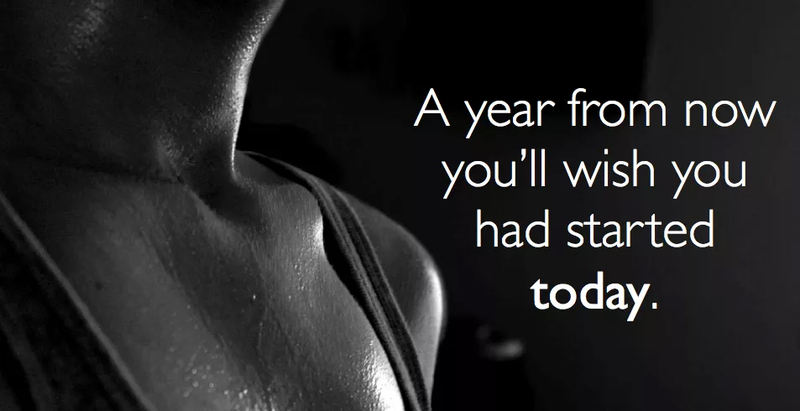 You will sweat A LOT in Bikram Yoga. When you sweat you rid your body of toxins, which is great but you also lose water and minerals that are essential to your health and well being. The minerals and water need to be replenished. Good hydration supports the healthy function of all of your body’s systems, cleanses toxins from the body, and keeps you more comfortable in the heat. A good daily formula is to drink half your body weight in ounces of water each day (example: a 200lb person should drink 100oz of water daily). Add some coconut water and Ultima Electrolytes (sold at BYNT) to your hydration plan to replenish mineral levels. Avoid eating heavily within 2 hours of start of class. Less is more when it comes to clothing in Bikram Yoga. We suggest a sports bra or tank for women and form fitting yoga shorts or capris. Men will be comfortable in a pair a running/biking/yoga shorts and shirtless or a sports shirt. We sell clothing specifically designed for hot yoga in our studio’s retail area. Heavy or loose fitting clothing is not recommended and is quite uncomfortable when you’re hot and sweaty. 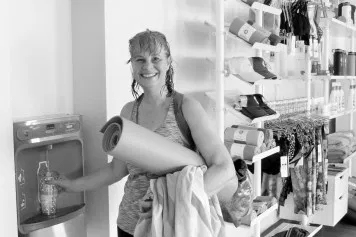 Yoga mat, a large bath towel, and drinking water. We have these items available at the studio for rent or sale. No shoes or socks necessary, you’ll be barefoot in the yoga room. For your first class, arrive 10-15 minutes early. You’ll feel much more relaxed if you arrive early. We start class and end class on time. For your safety we do not allow late entry to new students. AT BYNT we provide you with valuable information at the start of class which you would miss out on if you were late. Existing BYNT members will be allowed late entry up to 5 minutes late because we know that sometimes “stuff happens” but it’s always best to arrive early so you can have a relaxed and stress free start to your yoga class. Be sure to sign in at the front desk and let the staff know that it’s your first class. We’ll make sure you have everything you need in order to be ready and feel comfortable on your first visit. 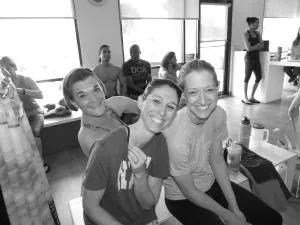 We LOVE Bikram Yoga and we want you to love it too. At BYNT we focus on educating students how to TRY the postures the proper, most beneficial way so you receive maximum benefit. We want you to feel great after class. Every BODY is unique and we understand that. We will teach you how to listen to your body and how to do the postures the best way you can with the body you have today. Enjoy the process and each day you’ll notice your self awareness improve along with your strength, flexibility and patience. YES. No matter the condition you are in today, there’s always room for improvement – both physically and emotionally. You do not need to be “in shape”, more flexible, or stronger to do this yoga. The yoga will help you achieve those fitness goals. If you’re nervous that people will be watching you, stop worrying. Trust us, each student is focused on themselves. This practice requires intense focus on one’s self and it is challenging every single time, for every one. No one is going to be judging and assessing your practice. The instructors will guide you, step by step. We have a great deal of respect for all who enter this space and we are cheering you on. Our goal is that you meet your goals. We have a friendly, supportive community. You will feel it from your first visit. Our students encourage each other, our instructors are happy you’re here, and very quickly you’ll feel the love from this great community of yogis. We open the studio 30 minutes before and close 30 minutes after each class. Bikram Yoga is challenging for everyone. Work to your personal edge, listen to your body and appreciate what you CAN do each day. Trust your inner wisdom. If you need to rest, that’s okay. Stand still or sit down and catch your breath. Try again as soon as you feel ready. Think of each class as a diagnostic tool to help you gain insight about yourself and your habits. You’ll quickly gain a deeper understanding of how what you eat, drink, how much you sleep, and about how emotional stress is impacting you. This information is quite helpful and assists with the desire to change habits. Please don’t use that information as a weapon to beat yourself up with. Knowledge is power. It’s ALL good. Your body and mind will acclimate very quickly to the hot, humid environment of Bikram Yoga. Be patient with yourself. Do the best you can each class and know that you’re getting stronger and improving your endurance each time you take class. Take your second class within 24 hours of your first class. The second class will help you alleviate muscle soreness and will show you how quickly you will adjust to the environment. Take a MINIMUM of 10 classes your first month. Yoga creates balance in your bodily functions and in your mood. The more consistent you are in your practice, the more energized and peaceful you feel in your day-to-day life. Pick any class time on our schedule at either location and get started today. You can register for class at the studio or save yourself some time and register online. We’re here to support you every step along the way. SO much is available to you here, come and get it. You’re only one class away from a great mood. Ready to Stretch? Choose a convenient time in Grapevine or Arlington and come as quickly as you can!